APN: I was born in Dover (Kent) but most of my childhood was actually spent in Gloucester. After I met my husband in 1974 we settled in Portsmouth and have lived there ever since. We love cats and have shared our home with a number of them over the years. We also enjoy the countryside and go on regular walks with our local branch of the Ramblers Association. I studied Latin (with a Philology option) at London University (Royal Holloway College) and also have post-graduate qualifications in Librarianship and IT. I am now retired after a career first in higher education as a librarian and then later in local government as an IT specialist. My Latin is now decidedly rusty, but I have bought Hobbitus Ille and fully intend to read it sometime! APN: I'm ashamed to admit that after I grew out of Enid Blyton's school stories I did very little reading until I developed a passion for historical novels (mostly Jean Plaidy's) and biographies while studying for 'A' Level history. This led to an enduring interest in the Stuart monarchs and the Jacobite Movement. I obviously have a penchant for exiled kings! APN: The Lord of the Rings was very much in fashion during my undergraduate days in the late sixties and early seventies but for some reason I refused to have anything to do with it and it was not until a couple of years after my graduation that a friend persuaded me to read it. He stressed that it would be a good idea to read The Hobbit first and promised me that I was "in for a treat". I was hooked immediately and when I got together with my future husband soon afterwards I wasted no time in introducing him to Tolkien's works as well! TL: From where comes your big love for Aragorn? APN: There wasn't really any one thing which prompted it - it was actually a very long drawn-out process. After seeing Peter Jackson's The Lord of the Rings films during 2001-3 I felt dissatisfied with the changes made to Aragorn's character and story so I turned back to the book, repeatedly re-reading it and making detailed notes as I tried to rediscover Tolkien's Aragorn. At this stage the exercise was really for my own satisfaction and was combined with a few attempts at fan-fiction to explore my ideas. However after a while I realised that the volume of notes I had made and the amount of work I was putting in merited a more serious and substantial project. So from about 2008 onwards I was committed to writing my book. TL: From the title of the book you see Aragorn as an undervalued hero. Does your book bring the context so this perception will be changed? APN: My chief sources were Tolkien's own works - as it was Tolkien's Aragorn I was exploring: The Hobbit, The Lord of the Rings, Unfinished Tales, The Silmarillion, The History of Middle-earth and his Letters. I also used relevant journal articles and various critical works, notably Paul Kocher's The Master of Middle-earth and the very helpful The Lord of the Rings: A Reader's Companion by Wayne G. Hammond and Christina Scull. The last-mentioned work refers to some of the manuscripts held at Marquette University thus giving me indirect access to a further useful source. TL: What special qualifications do you have for making this study? APN: An obsession with Aragorn perhaps?! Joking aside, this is perhaps a prerequisite when undertaking an exhaustive and long-running study. I felt a great empathy with my subject and the project helped me through a worrying period of ill-health as it gave me something enjoyable and satisfying to occupy my mind. (Aragorn wasn't called a healer for nothing!) Also, being retired, I didn't have the problem of balancing work and leisure commitments. TL: How does this book compare to Elizabeth M. Stephen's Hobbit to Hero; The making of Tolkien's King? 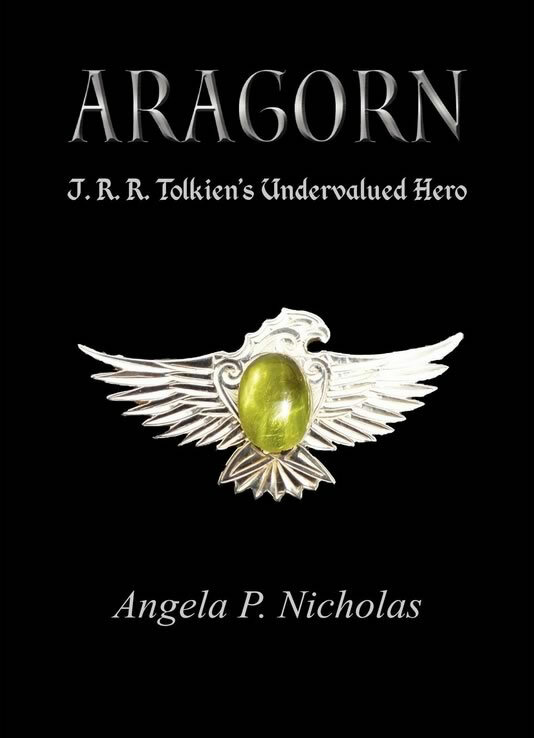 APN: Her book traces the development of Aragorn (through the volumes of The History of Middle-earth) from his first incarnation as a hobbit called Trotter to the Númenórean king in the published The Lord of the Rings. In addition she considers him in the context of other heroes of legend and history. There is also much emphasis on Hope and the manner of Aragorn's death, and she brings a Christian/religious slant to the discussion. In contrast my own book is primarily concerned with Aragorn as finally published. The first part is a detailed biographical study of him examining his ancestry, life, roles and character with particular emphasis on his easily-overlooked importance in the mission to destroy the Ring and on the mental struggles and torment he suffered. The second part of the book (approximately two-thirds of it) is an in-depth analysis of his relationships with his contemporaries in Middle-earth, both individuals and races. In general I would say that my book and Elizabeth Stephen's follow very different approaches and thus complement, rather than overlap, each other. 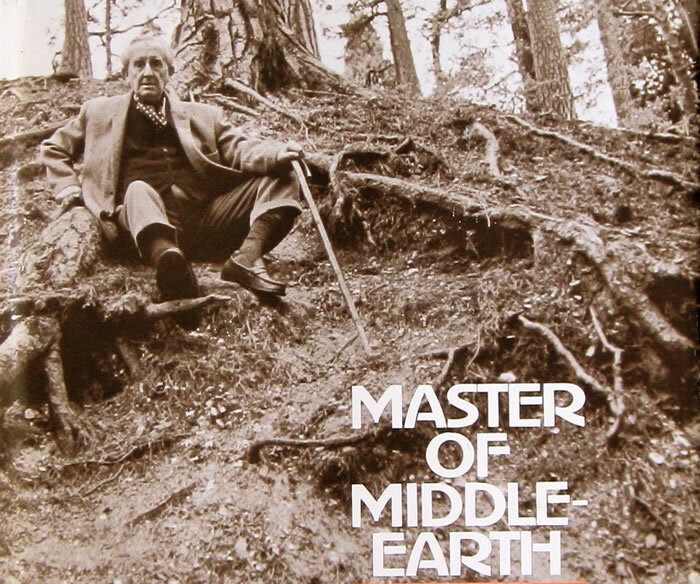 TL: And how does your book compare to Paul Kocher's The Master of Middle-earth? APN: Paul Kocher's book was written in 1972 so was based purely on material from The Hobbit and The Lord of the Rings since the later works had not yet been published. It is not primarily about Aragorn but does contain one chapter devoted to him, in addition to other notable references in the rest of the book. However the significance of Kocher's book for me is that I wasn't actually aware of it until it was reprinted in 2002 and by then I had formed my own views on Aragorn's undervalued role in The Lord of the Rings and his general neglect by the critics. I was delighted to find that these views were also held by a reputable Tolkien writer and this helped to give me the confidence to persevere with my own study. 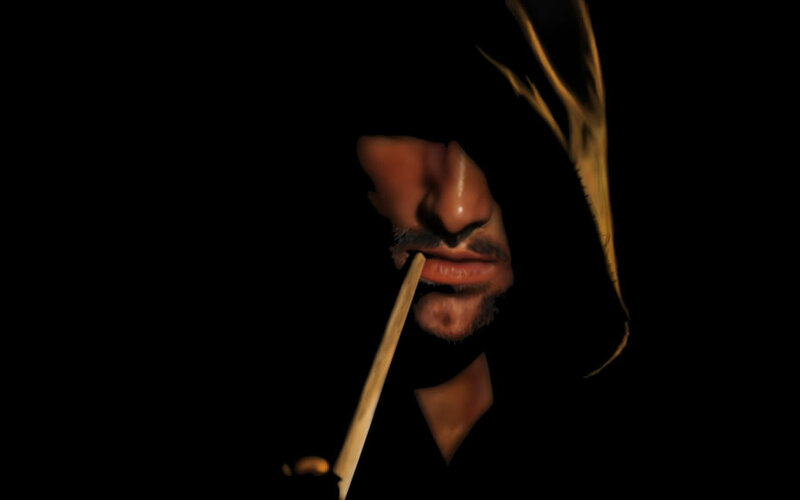 APN: I became very conscious of the emotional depth in many of the people (not just Aragorn) in The Lord of the Rings and felt that Tolkien must have had a similar emotional depth himself to be able to depict such characters. Also, although not directly connected with my study of Aragorn, I grew more aware of Tolkien as a linguist and philologist. APN: My book, like Elizabeth M. Stephen's work, is a study of a character who has generally been neglected, but unlike hers it delves into the finer details, the "nitty-gritty" of Aragorn's life, struggles and interactions with others. In addition the analyses of his relationships involve - by their very nature - considerable examination of the other characters. The result is that the events, people and races in The Lord of the Rings are seen through Aragorn's eyes thus giving a very different approach to the story. APN: I hope the book will appeal to those with an interest in Aragorn. I also hope that there will be something of interest for those who don't share my enthusiasm. I don't expect others to agree with all my conclusions and views, but if the book helps to change people's perception of Aragorn or leads to further study of the areas I've covered then that would be great. APN: This topic could well merit a book on its own - which I am not intending to write! It was of course the films which indirectly provided a trigger for my book precisely because of the differences in the portrayal of Aragorn, for example showing him as a reluctant king who had to be bullied by Elrond into accepting his ancestral sword. Also, of great concern to me, was the almost total lack of recognition given to Aragorn's gifts of foresight and healing. In addition his Palantír confrontation with Sauron, included only in the extended version of The Return of the King, was misrepresented. (In fact the credit for seeing some of Sauron's plans in the Palantír was given to Pippin!) It was not just changes in his character, but in his story too - such as his breaking off his engagement to Arwen and the omission of the Rangers of the North so that we had Aragorn going through the Paths of the Dead with only Legolas and Gimli for company. As for the "Aragorn falling over a cliff" scene, just don't get me started! TL: Can we expect more books from you in the future? APN: I have nothing planned at the moment - this one took me long enough. If I do more writing I think it's likely to be short articles rather than books, but nothing is decided yet. APN: My Tolkien collection occupies four shelves - I have most of his works plus some critical works. I suppose the most precious item would be the three-volume reprint of the 1966 hardback edition of The Lord of the Rings to which I treated myself soon after reading the book for the first time. I also have a hardback first edition of The Silmarillion which I bought as soon as it was published.